Labosport, a leader in sport surfaces testing, announces that it has signed today an agreement to acquire New-Zealand Sports Turf Institute (“NZSTI”), the leading turf consultancy in New-Zealand. NZSTI serves 3 main markets namely research & consultancy, professional training and testing services. The company headquartered in Auckland has 14 staff in 5 locations. Originally established as a research institute in 1949, NZSTI has grown to be recognized as the number one sports turf consultancy in New-Zealand, providing testing and construction advice to a wide array of councils and sports associations. The company differentiates itself by being the principal private training establishment accredited under New Zealand Qualifications Framework for the delivery of professional training in sports turf operations management. NZSTI provides Labosport an entry into the New-Zealand market and will allow to considerably reinforce the Group position in Asia and Pacific. With its world class turf expertise, NZSTI improves Labosport capacity to services its core markets, from grass root sports fields to iconic stadia. Labosport is a leading group of independent laboratories and institutes dedicated to sports surfaces testing and certification. With 110 employees in 13 countries, the Group offers a wide portfolio of test methods as well as technical advice and consultancy services for natural turf and synthetic sport surfaces. As one of the most innovative and quality oriented players in its industry, the Group draws on the latest developments in the field of agronomy, engineering, and chemical analyses. 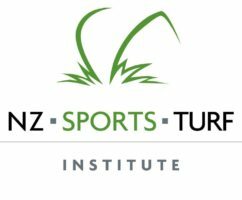 New Zealand Sports Turf Institute (NZSTI) is New Zealand’s only full service sports turf consultancy group specialising in research, training and advice relating to design and management of natural and artificial sports surfaces. Founded in 1949, NZSTI is recognised as the “standard setting body” for turf maintenance and management. The Institute provides independent, scientifically based advice on all aspects of sports and amenity turf planning, construction and maintenance.